Philip Glass' 2005 prediction that 'world music is the new classical' is confirmed by my recent listening. World music is exposing the tired formulas and vested interests of 'big music'. Musique sans frontières, world music, or 'knowing music', call it what you want, but that is where it is happening right now. And it is not only musique that is sans frontières, equally exciting things are happening in cinéma sans frontières. 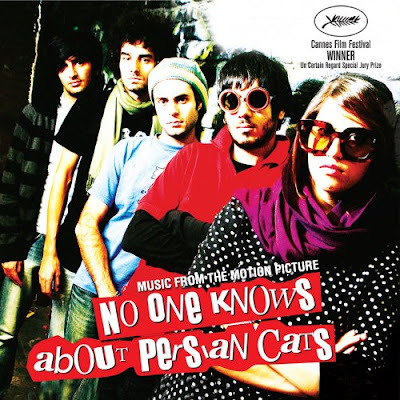 Last night we watched Persian director Bahman Ghobadi's 2009 film No One Knows About Persian Cats. This is a portrait of contemporary Tehran framed by the city's underground rock scene and the movie won the Cannes Film Festival's 'Un Certain Regard' special jury prize in 2009 for “original and different” films, a prize worth a million of those annual awards dedicated to perpetuating tired formulas and vested interests, the Oscars. No One Knows About Persian Cats is certainly original and different as well as being great cinema. Its points of difference include being shot in just 17 days without the obligatory permit from the Iranian government, an absence of any post-production special effects, and the use of long single takes using hand-held cameras. Hand-held cameras, digital distribution and other forms of dissident technology are creating two parallel media universes. One is Western-centric 'big media' with its capital intensive rigid formulas, reliance on repetition and abhorrence of experimentation. The other is low cost quick and dirty improvisation driven média sans frontières. Love it or hate it, the viral success of Twitter, YouTube and Facebook must be telling us something. Even if the government's just announced axeing of the UK Film Council while ramping-up support for big-sport' (as if it was needed) sends contradictory messages. Yes, the UK Film Council came within the pejorative definition of a 'quango'. But, as its website explains "Our support develops new filmmakers, funds exciting new British films and gets a wider choice of films to audiences throughout the UK". Chance music radio is my own timid experiment with quick and dirty media. On the road with Olivier Messiaen was also a gentle excursion into the genre which is explored more fully in No selection has been made. And, finally, synchronicity rules; the soundtrack from No One Knows About Persian Cats is released by Milan Records, whose Jade label brought us Gregorian Chant from the very topical Benedictine monastery near Avignon.